Battery operated which is rechargeable. (Battery unit and battery charger included) Easily accessible controls on unit. Easy to reach and use for patient as well as carer. Dual controls (handset and hoist) increases safety and prevents product failure if handset is damaged. 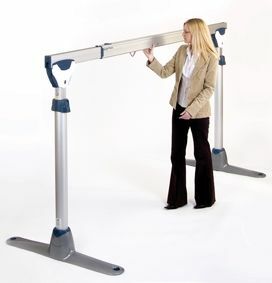 Telescopic adjustment for ease of use. 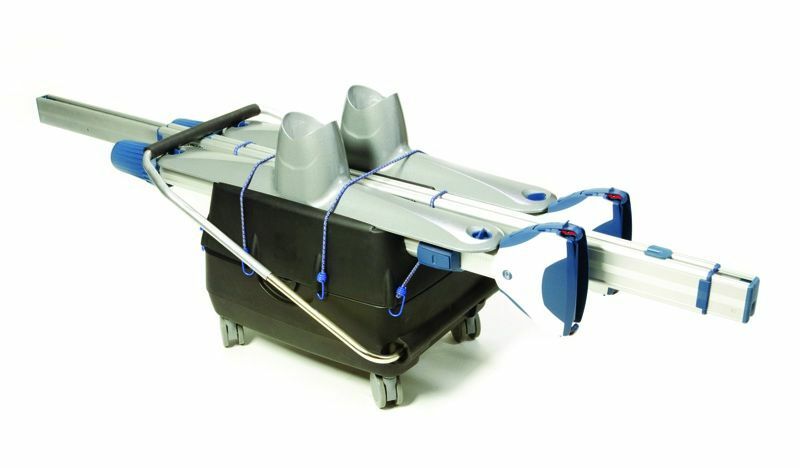 Lightweight components for ease of transportability and storage. Line up each upright post with the relevant footplate and insert. 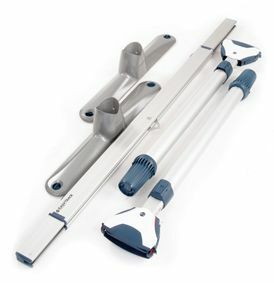 The posts are self locating and require no additional tools or fixings. Position the track into the fixing clips at the top of each post. Lock the track in place using the clips. Adjust the height of the track as necessary. 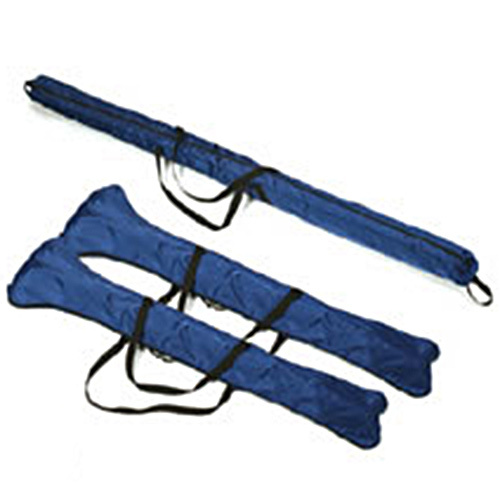 The telescopic posts are sprung loaded to ensure minimal effort is required. 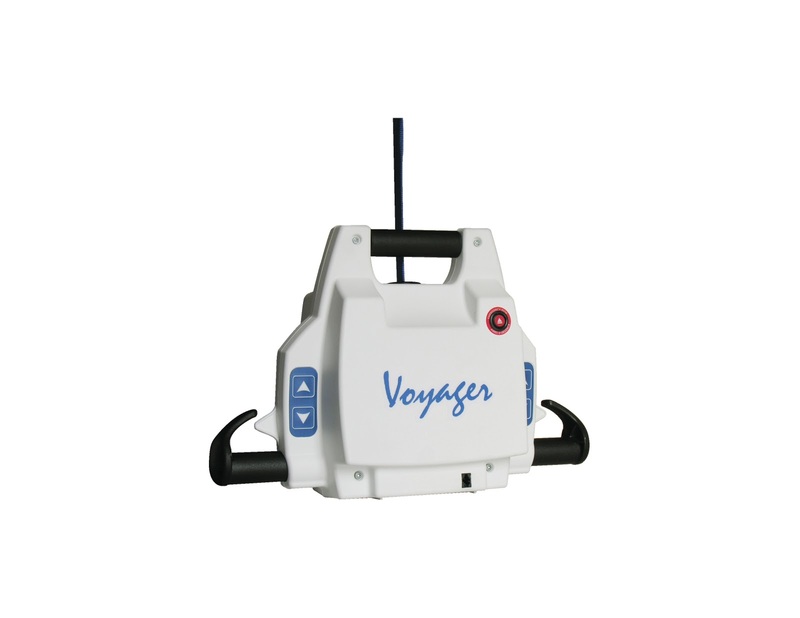 Attach the Voyager portable unit and your system is ready for use. 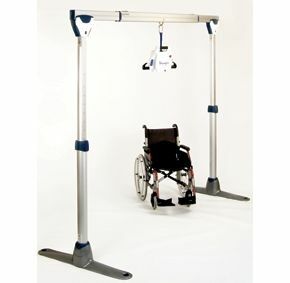 We purchased this hoist after a lot of research and found this is great for the needs of the person I care for. 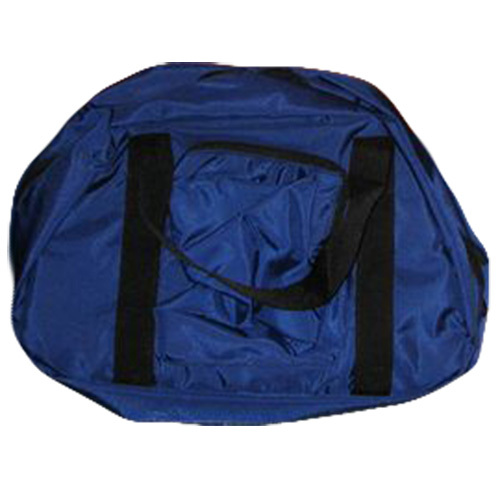 Very robust and good quality , and quick easy delivery .